So today I will be sharing my Rosegal.com Halloween haul. I am very please that the shipping was so great! This items arrive so fast. I was so amaze at the quality of the items. I honestly didn't really expect much because they are so affordable. I'll definitely recommend shopping at Rosegal.com. First up is this skew neck sweatshirt, I so love the statement print of this. Need I say more? It's just so comfy and chic! 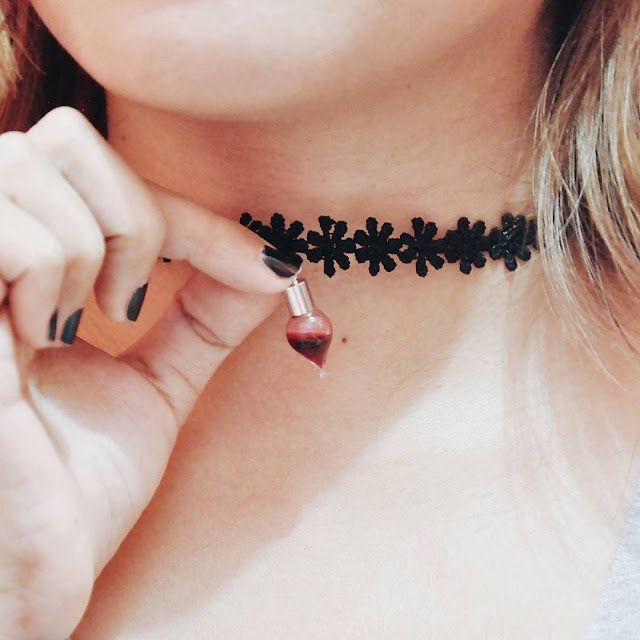 Next is the blood choker. This is so cool, it really looks like a true blood inside the drop-shape bottle. If you follow me on Instagram you probably seen this a lot. Ive been wearing this since it arrive. I also got this Pumpkin Printed Backpack. The kiddo like it that I bought it for him. He apparently love it because his been using it to school. Yes! He doesn't mind if the Halloween is over, he really loves the bag. I like how the bag has a lot of compartment and the big plus is that theres a special room for my laptop. And its sturdy, with a thick back. I can say my laptop is well protected. This is totally the best deal ever! I also got this preppy style lace-up short sleeve dress which is also in good quality... 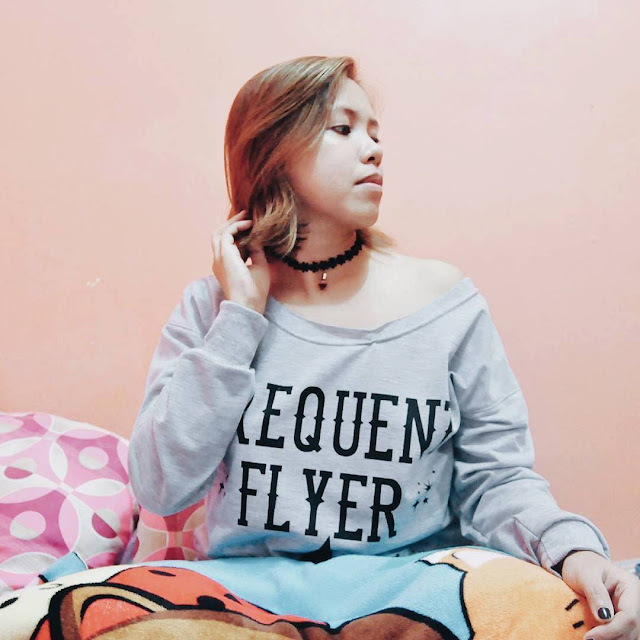 Check this out in my blog soon coz I'll be making an outfit post wearing this. Now the next one is the Halloween Night Owl pillow case... The clothing is canvas. The print is nicely done. Lastly, the skeleton print bodycon dress you can check out my previous post for the photos because I wore it as a Halloween costume. I have a minor caution for this, I ordered a medium size (the usual size I order for dresses), but it turns out to be big. Although its still wearable but its no longer a bodycon dress on me because it's not fit. Other than that, the quality is great and comfy. What do you think of the Halloween haul? Have tried shopping at Rosegal.com too? Love all the stuffs here! You have great blog. Follow you. Follow me back? Such a cool haul, lady! This is such a great post, I really love it! You're amazing! Love ur haul, that choker is so unique and that backpack is so cool !! That blood choker reminds me of Angelina JOlie during her prime years carrying around a vile of her ex husband's blood. I will definitely check out rosegal! that choker is soon good! Amazing shoppinghaul, Ms V. Love them all. Thanks for sharing darling.